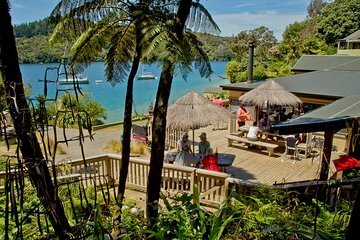 Before you drive south or board a ferry to the North Island, take some time to experience the tranquility of Queen Charlotte Sound on this morning excursion from Picton. Once there, enjoy a relaxing breakfast at Lochmara, a resort and cafe with astonishing views of Lochmara Bay. Choose from any meal on the menu - no restrictions - and complement your meal with a coffee, tea or other hot drink of your choice.